A facelift can raise your whole face which is called a full facelift or simply your forehead area as well as your lower face and neck. The results of facial rejuvenation generally last for 7 to 10 years. 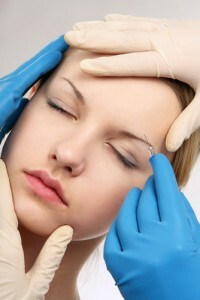 Your face is continually ageing so you may wish to have another procedure in the future. You can get great results if you keep a steady body-weight. A facelift creates a much younger look as it tightens the skin around your jaw line. Face lift cost? Lowest in the UK! Please fill in the form on the right for an instant quote. How do we do it? Well, we don’t spend excessive amounts of money on luxurious offices in expensive locations! That’s why we can offer you the same treatment by a top UK surgeon for less than anyone else in the UK. The cost of a facelift depends on many factors. Which clinic. The surgeon you are using. Location. Most of our patients come to us by recommendation. Please contact us today for a chat. Facelift surgery also referred to as rhytidoplasty can help to tighten your skin as well as revitalize the way you look. You might be thinking about a facelift because of the ageing process lines and wrinkles or perhaps a sagging appearance to the skin on your face and neck. A face lift can certainly help. Everyone’s facial structure is different, so a facelift is unique to every particular person. There are a wide array of facelift choices. 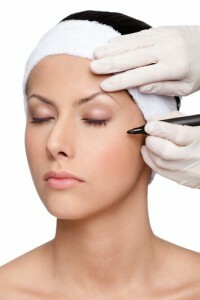 We provide either a complete facelift a smaller facelift and the one stitch lift. When you meet your cosmetic surgeon, you can discuss which option is the right one for you. Facial surgery is often coupled with upper eyelid surgery and lower eyelid surgery to deal with eye bags and a brow lift or perhaps a neck lift to experience the best possible results. Your cosmetic surgeon will be able to suggest which procedure meets your requirements. A standard lift enables you to tighten up the skin on your neck and face from the eyes and ears downwards. Your cosmetic surgeon can make a surgical incision in your hair-line downwards beyond the front of your ears after which upward into the hair-line once again right behind your ears. Your cosmetic surgeon might also make incisions beneath your chin if you would like your jawline raised. The facial skin is very carefully taken away from the underlying tissues. Your cosmetic surgeon will take away or re-position the excess fat and tighten up your muscles and surrounding tissues in your facial area and after that pull back your skin cutting away any surplus. With a few approaches, your cosmetic surgeon may leave everlasting stitches beneath your skin that secure the deep tissues in the elevated position. These can lessen the tension on the skin when it’s sealed. Your skin is sewn back to the line from where the incision was first made. A forehead lift reduces frown lines on your brow and the frown lines between the inner ends of your eyebrows. The operation is typically carried out employing a keyhole method and consists of creating small surgical incisions behind your hair-line. Surplus fat, as well as skin, is taken away and the incisions sealed with stitching. A deep lift enables you to tighten up the skin around the upper half of your face as well as around your eyes. The treatment consists of creating short surgical incisions on your forehead and in front of the ears. Surplus fat, as well as tissues, are taken out and the incisions sealed with stitches. Please call us today to arrange your free consultation. Either a general anaesthetic or a local anaesthetic may be used.